Culture in Cloth: The Blueprint of Central Europe. Home→EUROPE→Czech→Culture in Cloth: The Blueprint of Central Europe. The technique of modrotisk (literally meaning blueprint or blue-dying) involves a secret recipe of special paste, which is applied to the cloth using hand-carved, sometimes 300-year-old wooden blocks. These blocks contain patterns of flowers and plantsoften found in the surrounding regions, making the fabric a popular element of regional folk costumes. 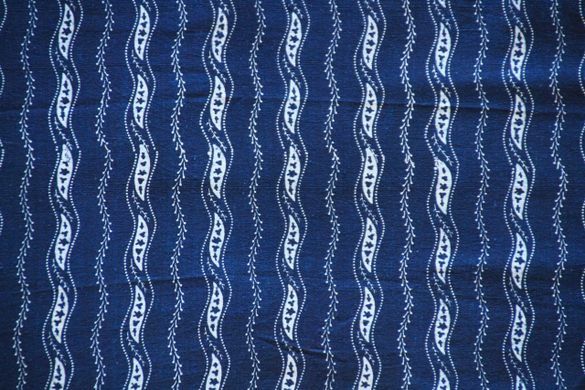 The cloth is finally dipped in deep indigo-blue dye, while the paste keeps the patterned areas a crisp, bright white in contrast. Modratisk becomes the sixth piece of Czech life to join the ranks of UNESCO-recognized cultural heritage. Previous listings went to local puppetry, Slovácko Verbuňk folk dance, Shrovetide processions from the Hlinecko Region, Falconry and the Ride of Kings. The latest addition of blueprint combines the beauty of Czech textile work, the distinctive detail of regional identities, the value of familial knowledge, and a national commitment to keeping historical hand-crafted processes alive for future generations (and visitors) to enjoy.